Depression is on the rise around the globe, as is the prescription of anti-depressants. From a holistic healing perspective, taking medication to mask the true cause of depression is a ‘band-aid’ solution, not a cure. Holistic healing for depression can be simple yet effective. Depression is the result of consistently suppressing emotion. When you press down or de-press something, it becomes stuck or stagnant. It’s like putting a lid on a can of carbonated drink. The ‘bubbles’ of energy can’t be released unless you remove the lid. 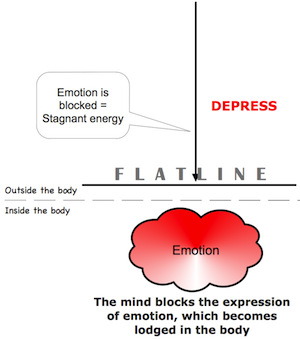 When emotion is blocked continuously, depression results. 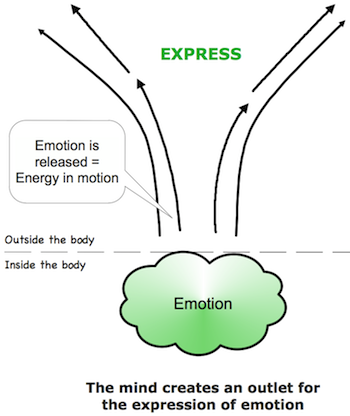 When emotion is given an outlet, we have expression. Emotional energy is extremely powerful and it can be used in positive or negative ways. When this energy is blocked, it has power over us and governs our behaviour in ways that we feel we can’t control. When it is given an outlet and channeled into something, we have more energy and we feel more in control of ourselves. When our emotional energy has an outlet, the old energy is released and replenished with new energy. This is what makes us feel more energetic when we are expressing our feelings – whether it’s anger, sadness or joy – rather than suppressing them. Remember that emotion is energy-in-motion, so the key is to FEEL. The more you feel, the less you will feel depressed. So the aim in holistic healing depression is to get out of your head and back into your body and FEEL. 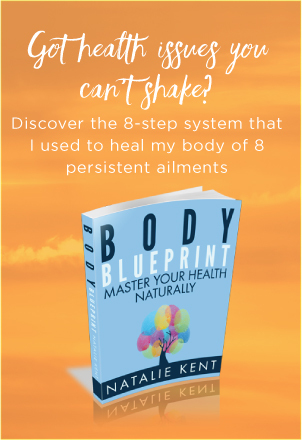 Movement (body) – You need to get moving – physically, emotionally and socially – to get the energy flowing throughout your whole being. When this energy is moving, you will find it very hard to stay in depression. Mind Focus (mind) – Is your glass half full or half empty? Changing your perspective allows energy to move. The more your mind fixes on something that is negative, the more you depress your feelings. Meaning (soul) – In order to find meaning in your life, you need to give and share what you have, and see beyond your world, see the bigger picture and that the world needs you. Take the holistic approach and address ALL the factors that contribute to creating or relieving depression – body, mind and soul. If you try a mix of these remedies on a daily basis, you can go a long way to lifting your depression. Remember to BE PATIENT. The most important thing is that you see an improvement in your mood each day. Talk to someone about how you feel, a friend or a professional – speaking your thoughts can start to move suppressed emotion. Exercise or move your body in any way you can for at least 15 minutes twice per day – exercise is proven to have a profound effect on elevating mood. No matter which strategies you choose, above all, it is important to take action each day and do things that uplift your mood and help you to release emotion. When you repeatedly do these things, you start to create new emotional patterns of expression, rather than depression, and you will find it harder and harder to be depressed.